Here is a brief description of each volunteer role and what it involves. Hopefully you’ll be inspired to start volunteering for CLAPA really soon! Patient Voices Groups let volunteers provide the patients’ perspective to cleft teams. Cleft teams need to consult with patients on the way they provide services; your role will be to act as the point of contact between the local cleft community and the cleft team. You need to represent the views of the community not just your own views and each cleft team does things a bit differently so you might be attending focus group discussions, attending board meetings or having a chat with a member of the cleft team. You will need to go to meetings, which may be held during weekdays, and we will reimburse your travel expenses. You will also need to be able to talk to other families to find out their views on particular issues, be professional when dealing with colleagues, and maintain confidentiality at all times. The role also involves a small amount of administration so you need to be IT literate, and able to use email and the internet. You would help to run our Adult Voices Council, acting as a voice for adults affected by cleft across the UK, generating and forming ideas for CLAPA Adult Voices, promoting awareness of services from CLAPA and the Cleft Teams, and informing and maintaining contact with CLAPA. We would ask you to attend four national meetings per year (travel expenses are provided) and to help plan and organise events, liaise with other Council members and CLAPA, deal with enquiries and communicate with Cleft Clinics. This would involve organising meet-ups for adults born with a cleft around the UK. These are informal gatherings which can be any format that suits you, just as long as it brings adults together and gives everyone the chance to form a supportive local community. If you’re interested, you’ll get full training and support from your local Regional Coordinator or Engagement Officer. Get in touch for more information. 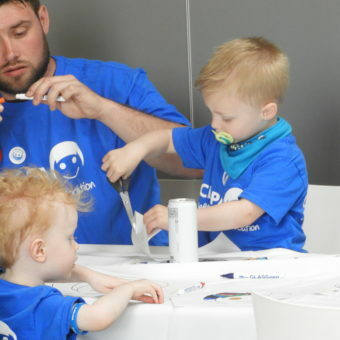 Events groups are made up of CLAPA volunteers who want to help their local cleft community come together to share experiences and meet each other in a fun and relaxed environment. These events might be a family-friendly trip to a local farm or park, a Christmas Party in a community venue, or whatever you think would help CLAPA reach out to people in the community. 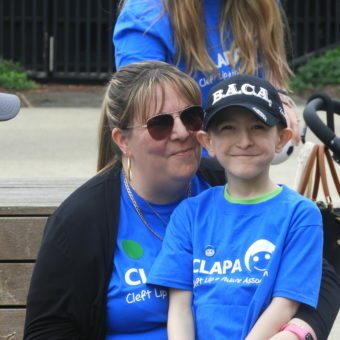 Events Groups can connect people directly to CLAPA’s work, give a voice to their local area, and help to provide the support that people need and benefit from. You need to be able to get to your clinic either by car or public transport (we reimburse all your travel expenses). You also need to be able to support families in a warm but professional manner, be professional when dealing with colleagues, and maintain confidentiality at all times. Fundraising allows you to be creative and to deliver and take part in a whole range of fundraising activities to support CLAPA! You could organise or co-ordinate other local fundraisers, or you might simply have an idea for a one-off fundraising activity you want to do. You could also assist us with publicising events, organising collections or raising money through craft skills and events. You can do this role anytime and anywhere it suits you, and it’s also ideal for getting your work colleagues, friends and family involved! If you’re happy to be included, we love to feature our fundraisers on our website and newsletter. You will be an ambassador for CLAPA and will be using our charity number and name so there are some legal requirements you need to adhere to while fundraising. As a Happy Faces Group Coordinator, you would organise local meetings and events for families affected by cleft. Happy Faces groups vary in size but all provide a meeting space for parents and children affected by cleft to socialise and access information and advice in a mutually supportive space. You would co-ordinate the local members of the Happy Faces group, and advertise Happy Faces activities via the local Cleft Team – plus if you’re happy to then you can use a variety of social media (don’t worry if you’re not familiar with Facebook, Twitter etc – full training is given!) You would also act as the main point of contact for anyone locally seeking information about CLAPA, and you can also inform families about other resources and services available. We would ask you to maintain regular contact with CLAPA and complete some simple admin forms from time to time. As a Parent Supporter, you would act as the main point of contact for parents of children affected by cleft, including those with unborn children (who’ve usually just found out at their 20 week scan). This involves providing information as well as offering emotional support. This role is crucial in providing information and peer support, especially emotional support, to all parents of children affected by cleft. This is mainly done by phone and email, through Facebook or occasionally in person (a day of training is provided). Acting as the main point of contact for parents seeking support with non-medical queries about cleft and related conditions (the local Cleft Team answers enquiries about the medical side, we help with everything else!) and you can also inform families about other resources and services available. You will be asked to maintain regular contact with CLAPA and complete a simple feedback form. As a Peer Supporter, you would act as the main point of contact for young people and adults with, and affected by, cleft. This involves providing factual information as well as offering emotional support by phone, email and possibly face to face. This role is crucial in providing information and peer support, especially emotional support, to any young person or adult in the UK affected by cleft. This is mainly done by phone and email, through social media or occasionally in person (a day of training is provided). This is not an advice or counselling role, but focuses on information provision, emotional support, being a ‘listening ear’ and very often, sharing your personal experience of cleft in order to assist and support others. We will ask you to maintain regular contact with CLAPA and complete a simple feedback form. You would be supporting CLAPA staff at Residential Weekends and adventure days for children and young people affected by cleft. This is a great way of helping young people gain mutual support and build confidence while participating in a range of activities in their peer group. This role involves running or assisting with activities, providing practical help in setting up and administering the camps, and liaising directly with children, young people and their families. You will need to have confidence in communicating with young people, be happy to undergo police checks and be responsible for safeguarding issues when volunteering with young people (training is provided). 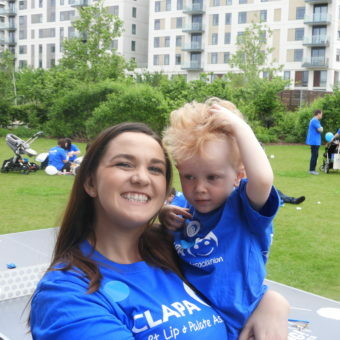 You would act as an ambassador for CLAPA and provide a range of activities to support our work with families, children, young people and adults affected by cleft, as well as professionals involved with this work. To raise awareness and provide information about CLAPA via social media, face-to-face, using PR and marketing tools as well as in person and with local Cleft Teams, branches and other groups. General: Email [email protected] or call 020 7833 4883. Interested in Volunteering? Get in touch today!